T. Rae Mitchell here, your host for this part of the hunt. I’m an incurable fantasy geek who loves combining fairy tales, folklore and legends with our everyday world to see what kind of magical stories emerge. I’m best known for my young adult fantasy series, Fate’s Fables: One Girl’s Journey Through 8 Unfortunate Fairy Tales, which can be found on numerous Amazon Top 100 Best Seller lists, such as Coming of Age Fantasy and Fairy Tales & Folklore. 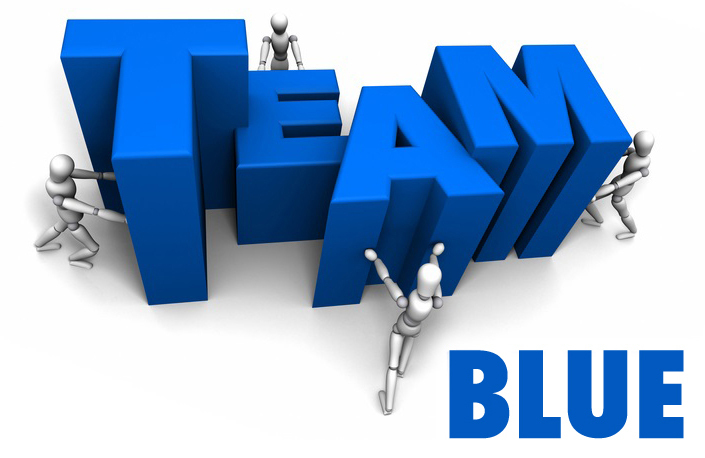 Here’s the list of authors on my BLUE TEAM! 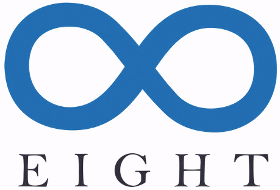 HINT: My secret number is marked in BLUE, though it may be disguised as an ancient symbol! 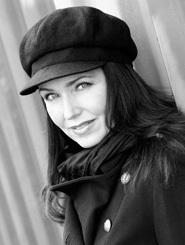 Lori is the author of Gates of Thread and Stone and The Infinite. She has a borderline obsessive fascination with unicorns, is fond of talking in capslock, and loves to write about magic, manipulation, and family. She lives in Wisconsin with her husband, kids, and a friendly pitbull. You can find out more about Lori’s books at www.lorimlee.com and connect with her on Twitter and Facebook. Lori is featuring an exciting upcoming YA anthology she’s part of! SHH…TOP SECRET BONUS MATERIAL COMING UP NEXT! 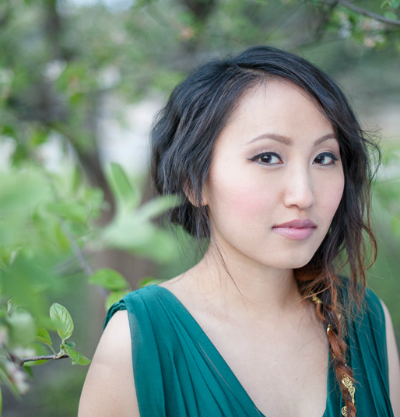 My short story in A THOUSAND BEGINNINGS AND ENDINGS is called “Steel Skin,” and is a science fiction reimagining of the Hmong folktale The Woman and the Tiger. Before a written Hmong language was developed about 60 years ago, folk tales and stories were passed down orally and through hand-embroidered story cloths called paj ntaub. This story cloth (with words because it’s a modern creation) depicts the tale of the tiger who killed a man, donned his clothing, and tricked his family, eventually eating them. Only the man’s sister-in-law Yer saw through the deception. When faced with the tiger, she threw pepper in its eyes, forcing it to flee blindly for the river and allowing her to send a message for help via a friendly bird. In my version, instead of a tiger, the impostor is an android, which makes the question of its humanity a bit more complicated.  I hope you like it. Look for A THOUSAND BEGINNINGS AND ENDINGS on June 26! I hope you enjoyed meeting Lori M. Lee and learning about her featured book. 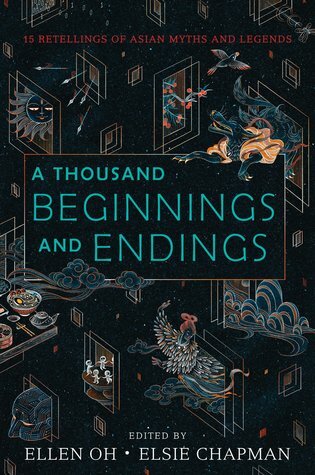 Remember to add A Thousand Beginnings and Endings to your TBR on Goodreads. Before you go, grab your FREE BONUS MATERIAL and ENTER MY GIVEAWAY FOR LOTS OF PRETTY PRIZES! 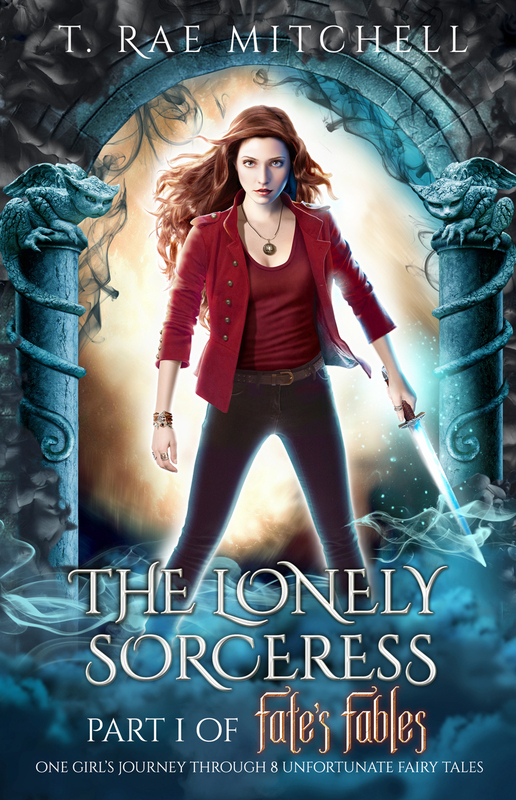 Click HERE to read The Lonely Sorceress, Part 1 of Fate’s Fables and prepare to lose yourself in a world of darkly enchanted fairy tales. 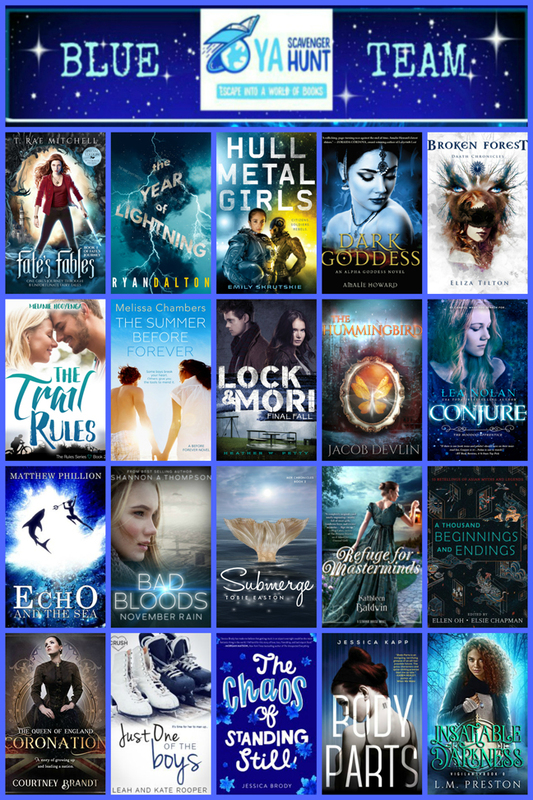 BTW, Fate’s Fables Box Set Collection is on sale for $0.99 during the YA Scavenger Hunt (April 3-8th). Remember, that’s a box set of eight fables. Wink, wink. Click HERE to hop over to author Melissa Chamber’s page. Ivy would love to wake up in Beauty and the Beast, it’s my favorite. I think I would handle it as bravely as can be expected in such situation, I have been told I’m very good under pressure and being exposed to new environments is not new to me. Hard choice. So many wonderful stories I have read. With each page I already feel totally emersed in the story. But whether it’s a retelling of Snow White or Harry Potter I would jump in feet first running bravely. Thank you for this amazing chance!! I would have to say I would absolutely love to wake up in the fantasy Merlin. I would hope my knees wouldn’t knock and that I would be brave. I would choose The Little Mermaid. I would go in headfirst to deal with the sea witch. I’d love to go to Prythian. It seems like the most magical world for me at the moment- especially Velaris. I think I would face a new world bravely. I think I’m pretty logical so, yeah. Oh man I don’t think I would make it in any fairytale, but I’ll go with Sleeping Beauty because she has 3 fairys who could grant her wishes. It’s technically not a fairy tale but I think it counts… The Labyrinth. I probably would be scared out of my mind at first but then once the adrenaline set in I would totally get into it. I would head off in to Night Court (Velaris to be exact) from the world of A Court of Thorns and Roses and I would head in happily albeit a bit dreamily! I would love to be in Snow White & I would handle it bravely. That was a hard one so I took a quiz. I got Wonderland and then I realized that was perfect. Yes, my knees would be knocking but I think I would get used to it eventually. If I could wake up in any fairy tale, it would probably be Little Red Riding Hood, and I really have no idea how I would handle. I want to say bravely, but who knows. I like to think I’d land in the “fairy-tale universe” like on Once Upon A Time so a bunch of different stories play out in the same universe. I think I’d try to be brave but ultimately I’d be terrified!! does the world of harry potter count? i would definitely be facing it bravely! I would bravely enter the world of Beauty and Beast just for that huge library!! Don’t bother me, Beast – I’m reading! I would be excited to enter the classic Disney like fairy tales (the villain usually only has her sights set on one person), but if it were a world like my recent read, The Hazel Wood, I’m pretty sure my knees would be knocking a little. Bring on the singing animal friends! I would really love to be brave in a new land filled with many strange things but I think in reality my knees would probably be locked. I need a trip to Hogwarts! I’m not really sure which fairy tale I would want to be in..The logical choice would be Cinderella since I would marry the prince and as far as monsters I watch Supernatural and I’m peeking at it underneath the blanket, lol so probably with my knees knocking..Although Dean is really good looking and if he and Sam and Castiel was by my side I could handle the monsters. lol but they are the Supernatural guys. My favorite fairy tale has always been Cinderella, so I would pick it!! I enjoy exploring new places-you just have to check out your surroundings and be careful. I would love to be in Beauty and the Beast for the library of course! I would be brave! Ohhhh I like the person up there who asked if Harry Potter counted. If so, I’d be fine. I’d befriend Tonks, keep her from dying and live the rest of my life being her best friend. Otherwise I dont want to wake up in a fairy tale. I hate them. If I had to chose, it’d be a NON Brothers Grimm or any inspired by the horrible endings of Brothers Grimm. And of those, Beauty and the Beast and Cinderella are my fav. I would probably eat Sebastian though like the Mermaid from Splash. I don’t have a specific fairy tale I would want to wake up in, but I know I would prefer it not to be a German one. They often were very dark and ended unhappily. Also if I ended up in one, I would be hopeful at first and then running in terror. I like to think I’m clever and wouldn’t be stupid enough to get me into the same situations that most of the characters get them into. I’m not sure what fairy tale- as long as theirs magic! I think I would be both scared and brave. I’d choose Hansel and Gretel, I would love to eat my way through a house made of gingerbread and candy! If a couple of kids can deal with the witch I’m sure I can. I would have so much fun if I woke up in Alice in Wonderland. I’d explore at all the marvels and meeting the characters, but avoiding the red queen! I wish I woke up in a strange new land! Life is boring! What an adventure to be whisked away into the unknown. My knees might be knocking, as you said, but it would worth every moment to be somewhere magical and new! Thanks for YASH! Love this Scavenger Hunt! Hmmm Beauty and the Beast. That library!! Hmmmm… I think the fairytales I’d most like to be a part of might be Leigh Bardugo’s retellings of Hansel and Gretel or The Little Mermaid (The Witch of Duva and When Water Sang Fire, respectively). But only as a side character because wow do those people live hard lives. I could never do that. I’ve always loved Cinderella’s story and I have her step-mother and step-sisters. I would make sure that my mice friends would give them hell. I’ll tell them to eat their clothes and their things. The Twelve Dancing Princesses. It would be awesome! I’d love to wake up in the Splintered series by @aghoward ~ it’s a retelling of Alice in Wonderland! It would be scary and thrilling but with Morpheus and Chessie with me, it would be fabulous! I would like to find myself in Jack and the Beanstalk, knees knocking for sure. Also maybe into the story, Into the Woods, to get a combination of all the fairy tales? I’d love to wake up in The Twelve Dancing Princesses. I would like to wake up in Beauty and the Beast. I think I could handle the Beast (especially if I would also get a library like in some versions! ), and there seem to be less unpleasant things in that particular tale. And I would probably be a mix of both: scared at first, but then adapt as necessary. And totally filled with wonder at a world so different from mine. I would want to wake up in Rapunzel and I would be brave! i dunno which fairytale i would want to be in, but anyone with magic and princesses adn stuff would be cool. And i would be a fighter. I would train to be a knight or something and get all Joan of Arc up i nthere! Beauty and the Beast, and knowing me, I’d panic and probably not enjoy it to its fullest.